HD-Video shot with the Canon 7D and Canon 17-55mm EF-S lens. 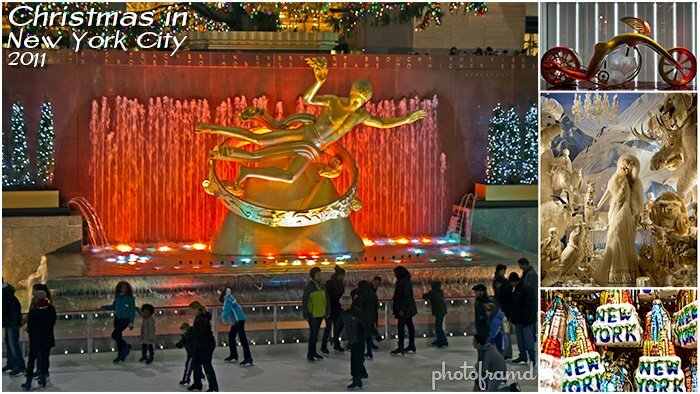 Filmed in December 2011, it highlights the best Christmas decorations across New York City including Macy’s Herald Square, Lord & Taylor, Saks Fifth Avenue (with the Bubble & Snowflake Show), Barneys New York (with Lady Gaga), Bergdorf Goodman, Bloomingdales, Radio City Music Hall, Bryant Park, Unicef Snowflake, Fendi, Cartier, Time Life, McGraw-Hill, Times Square and, of course, Rockefeller Center. Happy Holidays!